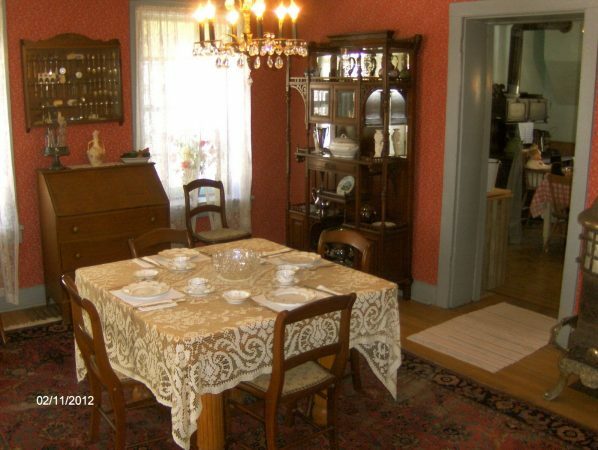 The Fisk Carlin House is furnished with mostly 19th century antiques, some of which are original to the house and the historical integrity of the floors, wallpaper, lights, and furnishings have been well appointed. The house can be toured at your leisure, but it is best explored with the assistance of a docent, who is always available during museum hours and by appointment. The Carlin House dining room. ENTRANCE (from the Turner Museum), a wide variety of farm and household items, two men playing a friendly game of cards. SMALL ROOM, opening in inside wall shows grout construction of the house. The adjacent Turner Museum offers a variety of local art and a permanent exhibit called “Palmyra: Then and Now.” Get the latest updates on the Turner Museum here. The Carlin House & Turner Museum are open Saturdays 10am-2pm May into October and by appointment. You can call 262-495-2412 for details. 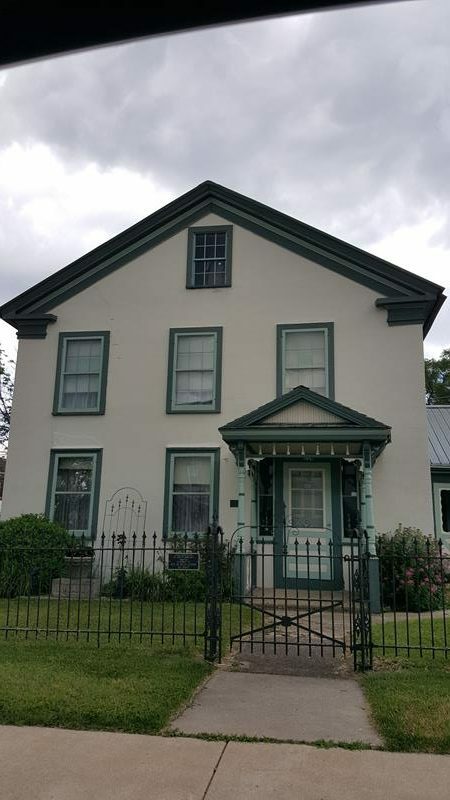 You’ll find the Carlin House & Turner Museum in downtown Palmyra, right along Highway 59 just past the eastern terminus of Highway 106. Palmyra is in far southeastern Jefferson County along the Scuppernong River nestled next to the Southern Unit of Kettle Moraine.